Maja is a 500h Yoga Alliance registered yoga teacher and teacher trainer, as well as Anusara Yoga™ Inspired and founder of Athens Yoga, Greece and Maya Yoga™. 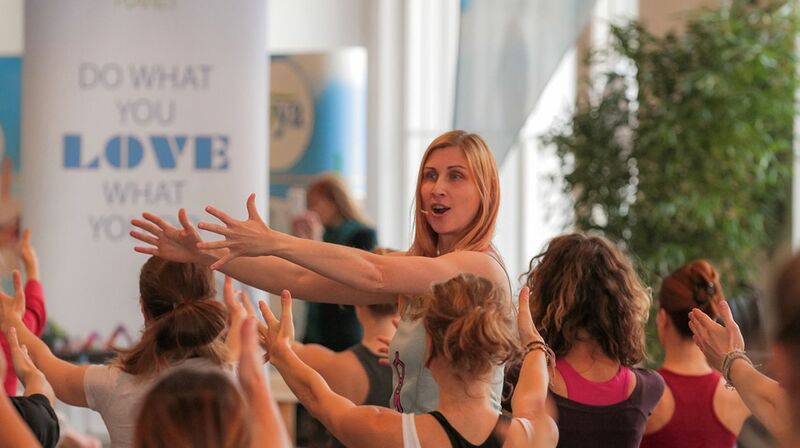 - links movement with inner awareness, and- always inspires students to approach yoga as a way of life. She is most interested in exploring the ways in which physical practice, breath, mind observation and yoga philosophy can all be combined and used in everyday challenges that life presents. 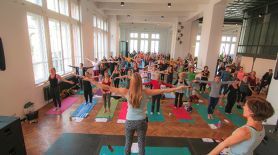 In Maja’s classes, the practice of yoga and life itself become one and the same. 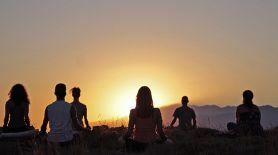 Yoga becomes a tool for healing all human relationships, including the relationship with oneself. It contributes to the emotional maturity of the individual and brings about the spiritual elevation and growth of the collective. 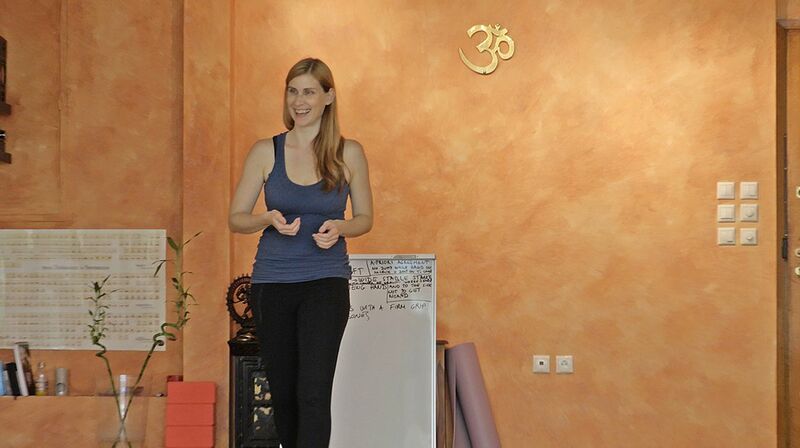 Maja holds teacher training programs, alignment and therapy workshops, seminars on teaching and sequencing advanced poses, classes and yoga retreats in Austria and Greece. Maja was drawn to psychology, meditation and spirituality since early childhood. As a teenager she started practicing yoga and periodically attending meditation seminars. With her first yoga teachers - Swami Nirvikalpa and Swami Bhajanananda of Satyananda Yoga tradition - practicing hatha and raja yoga, she realised that she found in yoga what she was looking for. She studied and trained in yoga teaching with globally known teachers Chris Chavez, Carlos Pomeda (Yoga philosophy), Noah Maze, Martin Kirk (Anatomy), Desiree Rumbaugh, Elysabeth Williamson, John Friend, Rusty Wells, Sue Elkind and others. 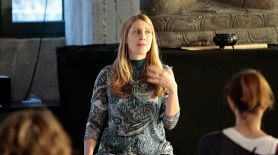 She also holds a diploma in Primal Integration Psychotherapy training in Ontario, Canada. Economy and social sciences at the Greek National University of Athens, and Open University of UK, respectively. Master degree in political science at the Greek National University of Athens with thesis: "Conflict transformation in the Balkans by non-violent means and grass-root peacebuilding. Maja is constantly involved in projects and activities that promote human rights and equal treatment of people. 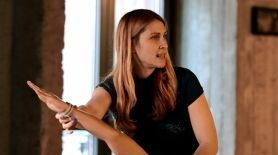 She regularly organises events that aim at supporting refugees, women in prisons and other sensitive groups. The continuous practice enriches my life with knowledge and joy. I draw inspiration from all the students and all the teachers whom I have been so blessed to walk with on this spiritual path. I am deeply grateful to all the teachers I have studied yoga with and who shared the knowledge of yoga so beautifully and selflessly. Their wisdom, guidance and support over the years has been crucial in my life and in my growth both as a teacher and as a person. My dedication to yoga far exceeds the mere hour-and-a-half practice on the mat. I believe that through living yoga in daily life people of our planet are transforming their lives on the path of learning, of awakening. These changes are taking place on individual, group and global levels. Yoga is above all a spiritual practice, freeing us from various limitations of the conditioned concepts of ourselves, connecting us with our hearts, and opening us to the vasteness of spiritual potential, which is no other than the awarness of unity, of service and gratitude, of deep pure love.